Earlier this year, I passed my PSM and PSD exams. With the help of Richard Hundhausen’s reference book, I achieved great scores!!! I do recommend reading the book as it contains all the content required for both exams. 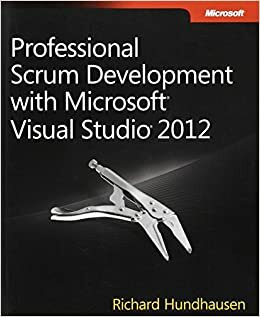 Furthermore, it provides guidelines and best practices on how to use TFS with Scrum. Richard is part of Accentient and as such he is one of the main contributor of the Scrum.org PSD training materials! Have you attended Richard’s PSD class before? Yes, I actually just attended a PSM/PSD class with Richard and Steve Porter from Scrum.org as part of our company Agile Coach programme. It was a great week with a lot of discussion and insights from the whole attendance.